Q: I am a registered nurse working in a physician owned infusion center. We work very closely with the physician and if the patient needs IV therapy, the doctor tells me what IV and meds to give, then I start the infusion, He writes what he wants given in his progress notes. Is there a need for an signed order for this? I don’t even chart since he has it on his notes. A: Let me refer you to the 2011 Infusion Nursing Standards of Practice – Standard 10 on Orders for initiation and management of infusion therapy. Standard 10.1 states:Infusion therapy shall be initiated, changed, or discontinued upon the order of a licensed independent practitioner. So yes, there is a need for an order from the physician for you to initiate IV therapy (which includes medication administration). Essentially, you are receiving a verbal order from the physician to initiation IV therapy and administer IV medication. The standards states that the use of verbal or telephone orders shall be established in organizational policy and procedures, practice or guidelines. Most policies will require verbal orders to be written and signed by the prescriber. It is concerning that as an RN you state that you do not even chart the IV therapy you administer to the patient. I am not sure why you’re not, and why it sounds like you think it is not even necessary. Documentation of the care provided to our patient is our legal responsibility and must be accurate and complete. Do not rely on anyone else to document the care you provided. 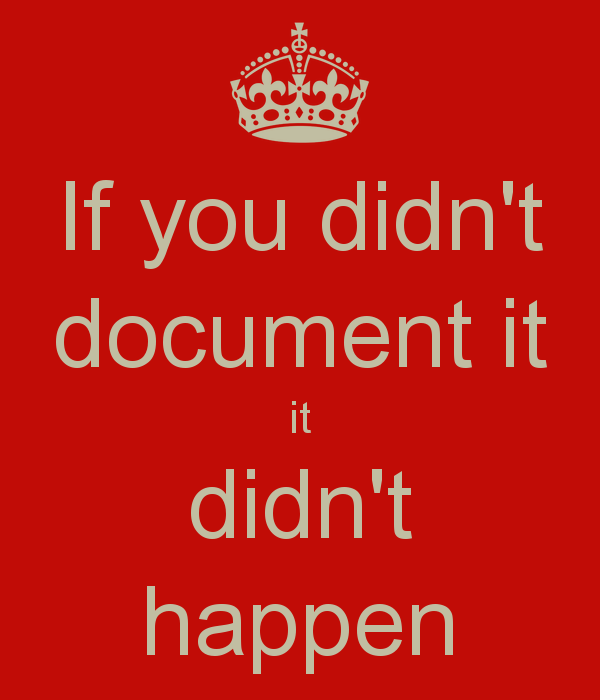 As the old saying, “if you didn’t document it, you didn’t do it.” Regardless of where patient care is provided, the requirement for legal documentation of care provided to patients apply. Need some R & R?